When thinking about machine translation (MT), it is often assumed that it is mostly legal and medical content that goes through this process due to its structured nature and non-ambiguous terminology. But in reality, MT can be an enabler in a number of different contexts. Some of the large retailers have already grasped the potential there and are using MT to their advantage. Sportmaster is a sports retail chain boasting over 475 stores in Belarus, China, Kazakhstan, Russia and Ukraine. According to its website, Sportmaster provides distribution for leading brands like Columbia, CAT, Skechers, Speedo, Tecnica and many others. Unsurprisingly, a company of this size has extensive translation needs. Interestingly, the Head of the Translation Unit at Sportmaster, Pavel Dunaev, says that translations for end customers constitute but a fraction of the total localisation workload. The translation unit supports the activity of all other departments such as logistics, HR and finance, to name a few. Each one of those divisions has their specific translation requirements that need to be met according to strict deadlines and quality criteria. Dunaev openly admits that machine translation is currently one of the company’s core productivity tools. In Sportmaster’s case, MT is integrated within their translation platform they use in a way that it shows as another suggestion on top of translation memory suggestions that a translator can use and edit. The more the company grows, the more pressure there will be to keep up with the increasing translation needs. For that reason, it is key to identify and adopt tools that will keep operations of the business afloat and MT has proven to be one of them for Sportmaster. 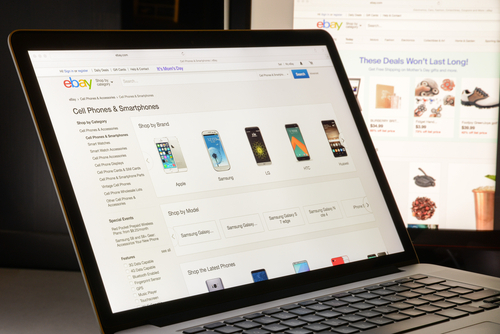 With its significant global presence online, eBay does not need introducing. It sells an incredible variety of goods in 27 countries around the world. With international operations comes a question of efficient localisation to ensure a good level of customer engagement. Human translators are very much part of the localisation process at eBay. But there are also certain parts of the site that would be impossible to process without the help of a machine. eBay has around 800 million listings of 300 words on average, with new ones being added on a daily basis. Each of them consists of a title of circa 12 words and a long description. By the time an army of human linguists finishes the translation of just those product titles, the goods would probably be already sold. The company has therefore created and trained in-house machine translation engines (eMT) in several language combinations, which they use to localise the volumes of text that human translators would need several years to complete. Applying machine translation certainly has its challenges but its positive impact cannot be ignored. eBay reports that the adoption of eMT has lead the company to increase its exports by 17.5%. The company also claims to have reduced its translation costs, while also increasing search matching accuracy and quality of listing titles at the same time. TranslateMedia has been engaging in machine translation projects with a number of retailers with online presence, predominantly in fashion and beauty domains. Some of our clients opt for raw machine translation that they then polish in-house, while others prefer PEMT service, where machine translation is edited by skilled linguists experienced in the relevant subject matter. One of the retailers that collaborate with us on PEMT projects is Topshop. This British multinational retailer of clothing, accessories and make-up products boasts 500 stores around the globe, 300 of which are located in the UK. By creating domain-specific machine translation models in French and German, based on the brand’s translation memories, we were able to increase the productivity of linguists working on Topshop jobs. Thanks to the combined force of good quality machine translation and skilful editing by linguists, the machine translation output is indistinguishable from pure human translation after being polished by editors. 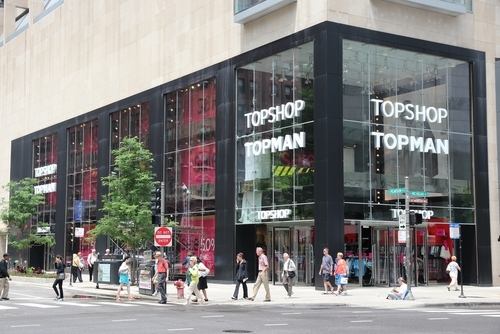 This has helped to reinforce the strong partnership between TranslateMedia and Topshop and facilitate Topshop’s aggressive global expansion strategy. The PEMT process helped the client improve efficiency and reduce time to market. Reportedly, 42% of consumers never buy a product or service in another language. Application of machine translation might just be the way to reach and engage those consumers who only ever buy products available in their native language.